The Blogger Society is a growing network of over 2000 professional bloggers, dynamic social media personalities, online influencers and social entrepreneurs reaching both general market and niche markets. We boast an incredibly diverse group of men and women influencers who span the country. The Blogger Society is based in Southern California. The Blogger Society is owned and operated by Eva Smith, a digital media entrepreneur and successful tech blogger with over 20 years experience in the Technology and Startup sector. Our award-winning Chief Connector is a top influencers in Latino social media and general markets. She is also one of the leading lifestyle & tech bloggers in the United States with crossover appeal among general market and multicultural audiences. Her love of community building and networking inspired her to create The Blogger Society Influencer Network to help other bloggers grow and build entrepreneurial platforms. 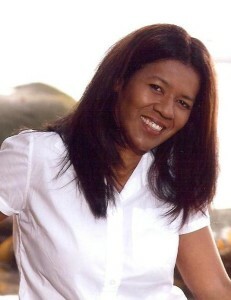 Eva Smith is one of the pioneers of digital media advertising. When she entered the social media space, she immediately started using the platform to connect, network and reach out to businesses, brands, nonprofits and end-users. Eva Smith has received several awards and recognitions including, Latina’s “25 Women Who Shine in Tech“, Ford’s Mujer Legendaria Inteligente, USA Today’s 6 Latin@ Bloggers to Watch and Voxxi’s Most Powerful Women in Social Media. Her work has also been featured on Mashable, Babble, Baby Center, Latinamom.me, USA Today, Latina Magazine, National Parks Services, NBC Latino, Voxxi and more. Eva has been a featured speaker on the topics of technology, startups, blogging and social media at Mom Fair, LATISM Latino2 Latinos in Technology Conference , BlogHer, Mashable’s Social Media Day, Hispanicize, Social Media For Social Good and ConnectHER conferences.